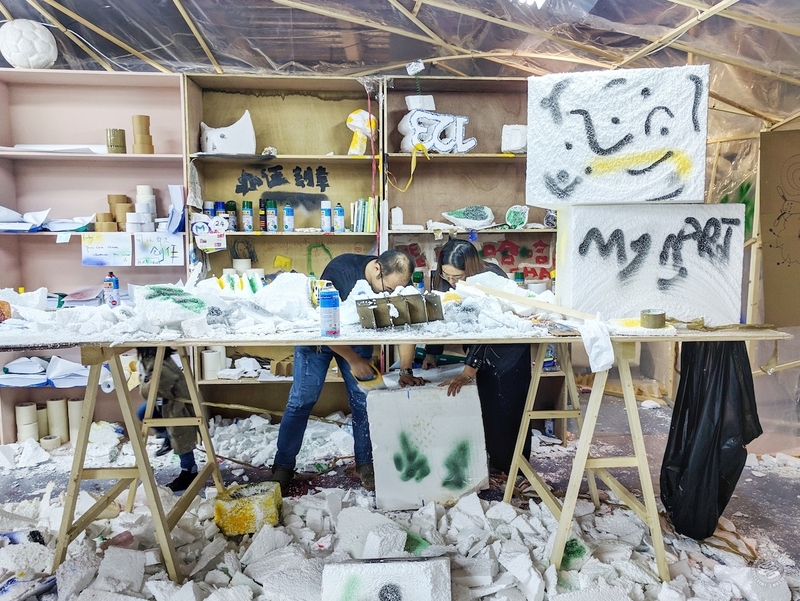 Thomas Hirschhorn wants you to destroy a museum. 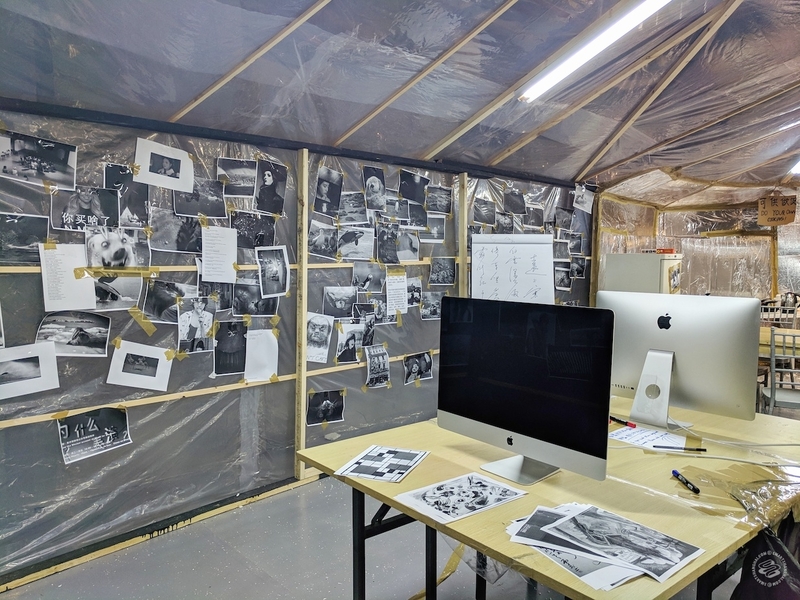 This is not the first time the Swiss artist has tried something like this. 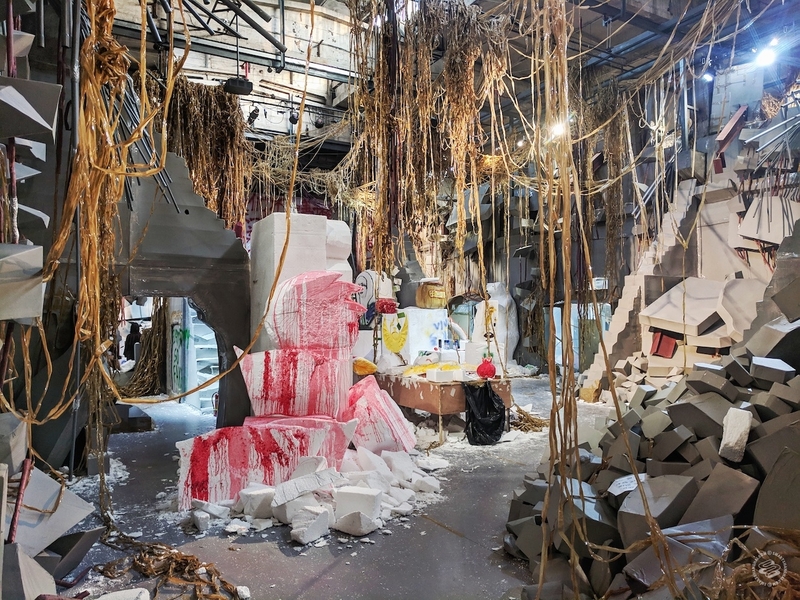 For more than 30 years, he has been using duct tape, plastic wrap, foam and cardboard to create large installations, turning Minnesota's Walker Art Center into a cave and building an altar at a Berlin metro station. In November, he turned his attention to a contemporary art museum in Jing’an. 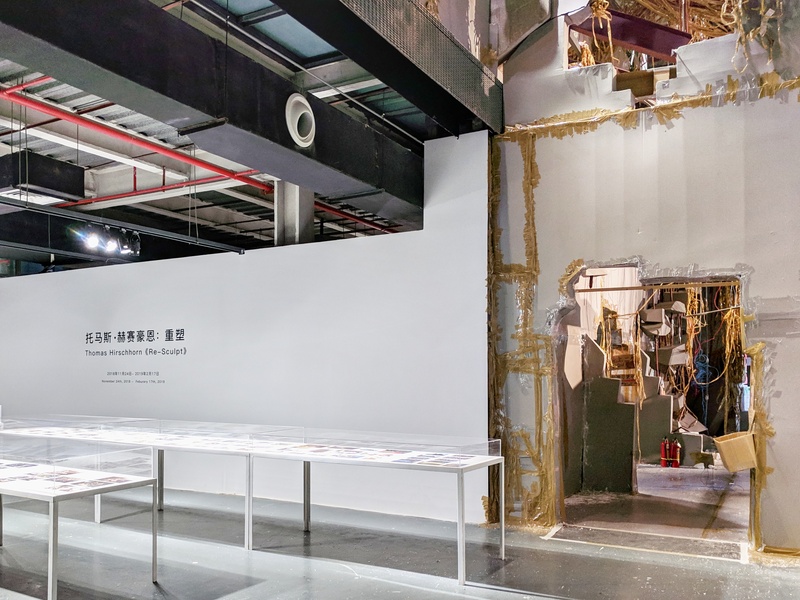 In the past month, the inside of Ming Contemporary Art Museum has become unrecognizable. 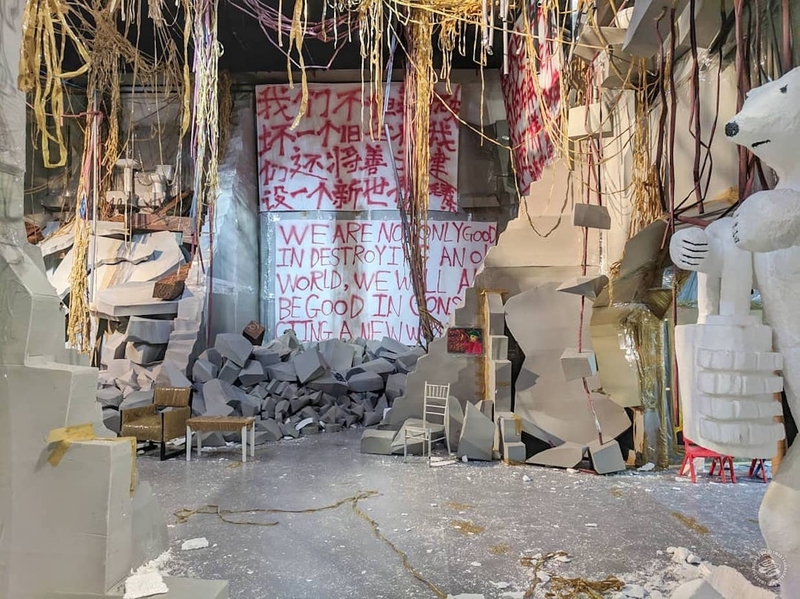 Hirschhorn took inspiration from 'Potemkin village' and the ruins from Shanghai's past and present, tore the museum down and transformed it into his temporary studio — or his ideal version of a future museum. Now the space is in the hands of the public. 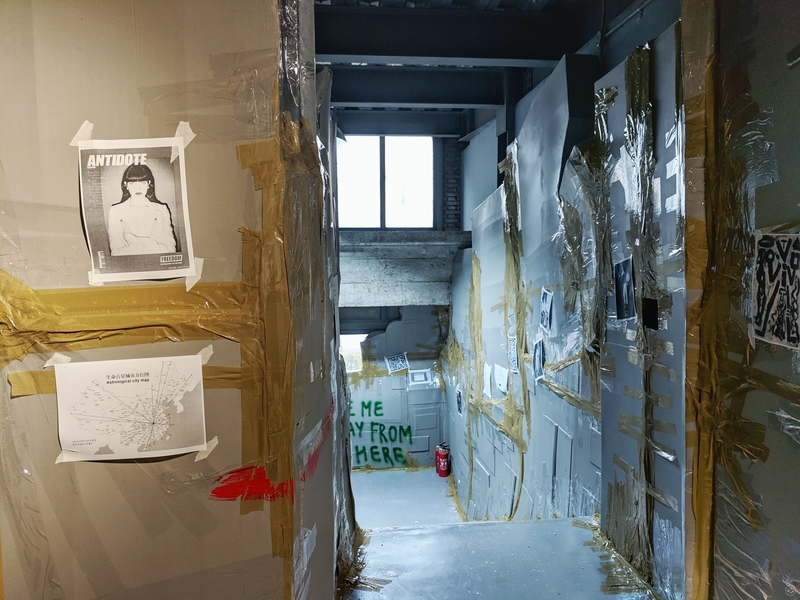 Like walking into an apartment that just survived an earthquake, the museum feels unsafe. The ground floor is the "sunken foundation", where toilets and sinks perch above your head. On the second floor, there are two "shelters". Operated by the museum team, visitors are encouraged to use anything that's available there —big shelves of stationaries and books, internet-connected computers and printers, foam, saws, big sofas and tables — and take their creations home. One of the shelters is equipped with a small functional kitchen. There’s even food and drinks in the fridge. 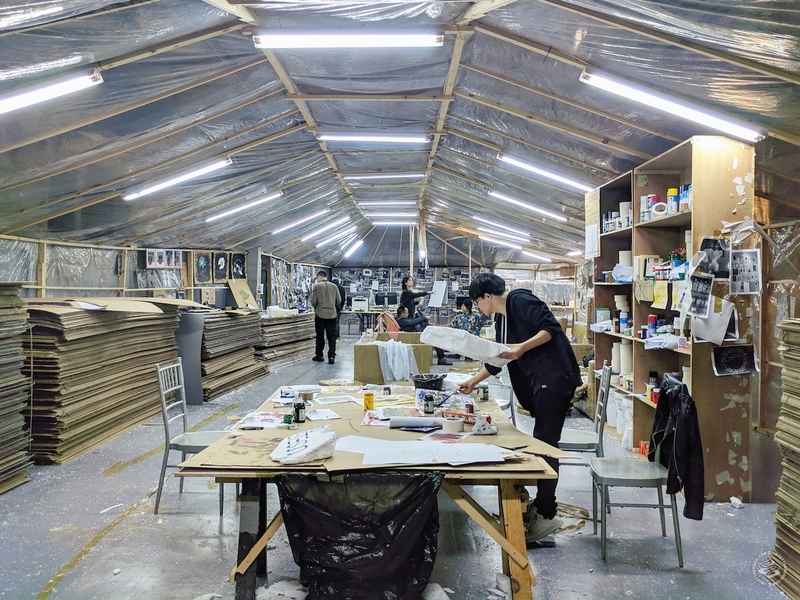 Ming, the paper manufacturing factory-turned museum, has been putting out amazing art exhibitions, experimental performances, and workshops in the past couple of years. 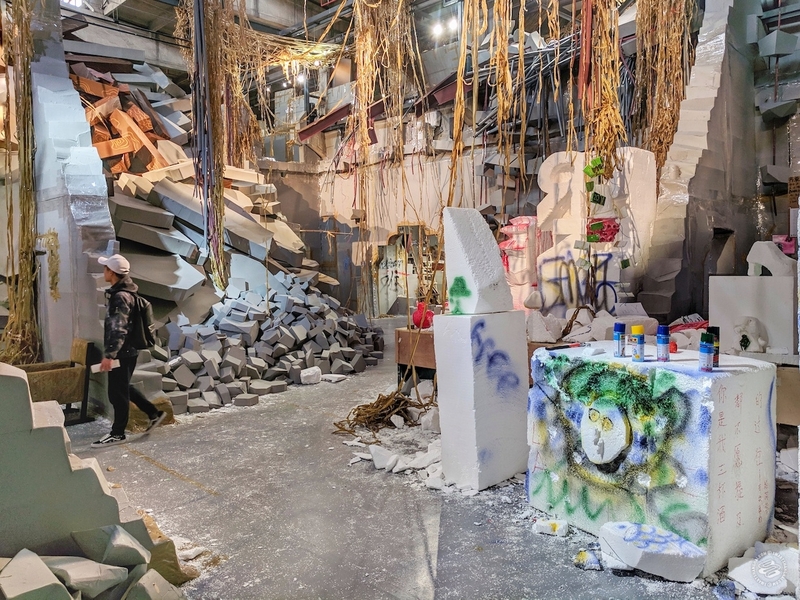 Thomas Hirschhorn's "Re-sculpt" is a combination of all of them. 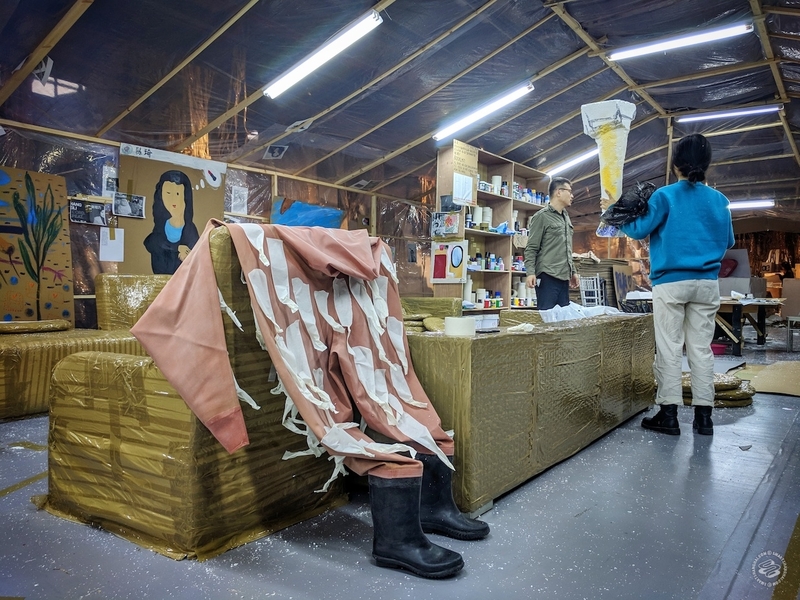 If you notice any foam sculptures that seem too good to have been carved by an amateur, it's from the artist himself, possibly shipped from Paris, where he’s based. The show has sticking power. God knows what it will look like in February, when it ends. Visiting a couple times between now and then seems prudent, especially if you’re a garbage collector. 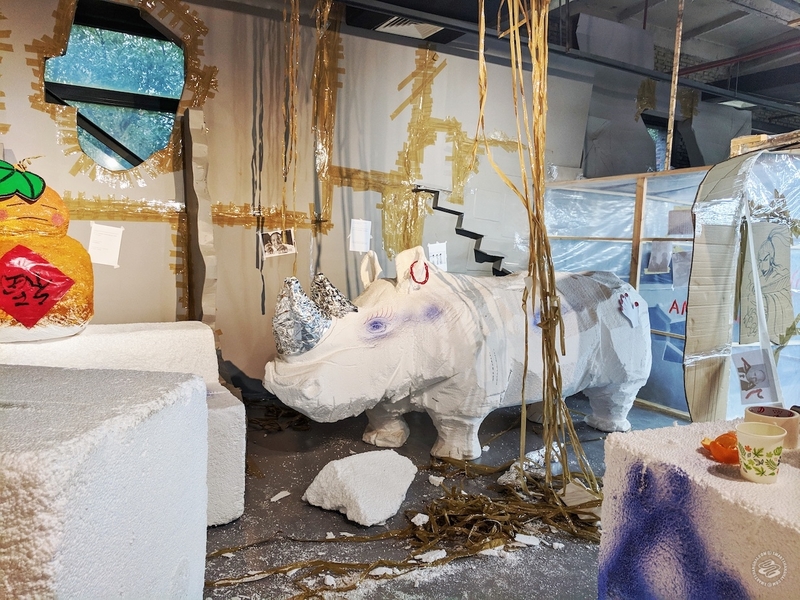 As one of the staff mentioned, when the exhibition is over, all of the foam and other detritus will be given to the guys on tricycles. 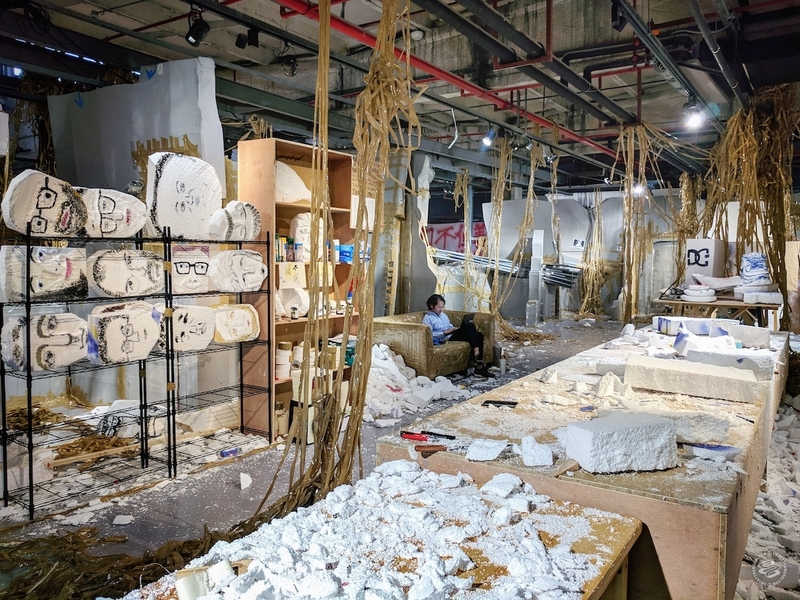 Thomas Hirschhorn: Re-sculpt runs until February 17th at Ming Contemporary Art Museum. Free admission.